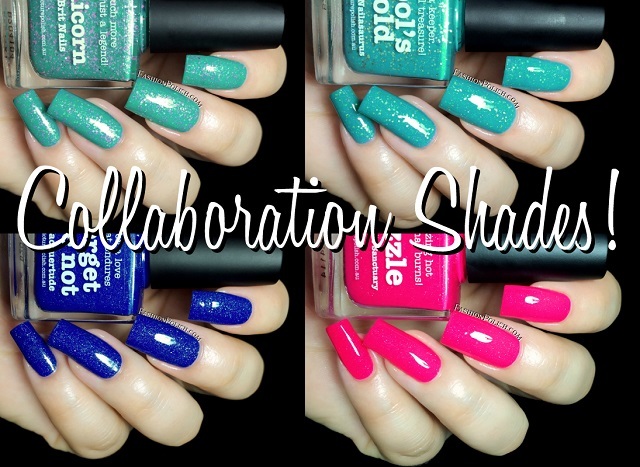 I have swatches of the new piCture pOlish collaborations today. I'm always really excited about PP collabs, I love love love seeing what everyone comes up with. So let's give them a closer look! Fool's Gold is a turquoise blue packed with gold shimmers and glitters. Great formula and application, I used 2 coats plus topcoat. Created in collaboration with Sammy from The Nailasaurus. 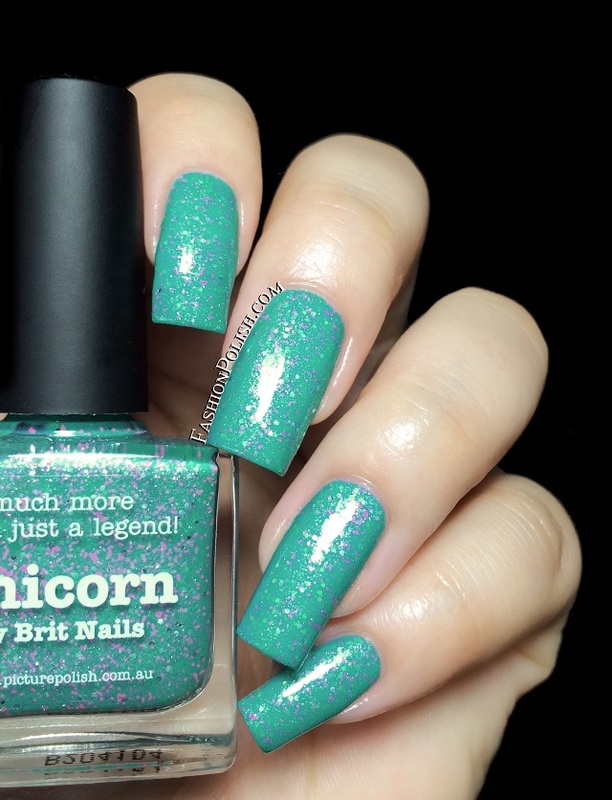 Unicorn is a turquoise green with pink and silver shimmers and glitters. This one looked a little sheer on the first coat but it built nicely with the second. Created in collaboration with Allie from Brit Nails. 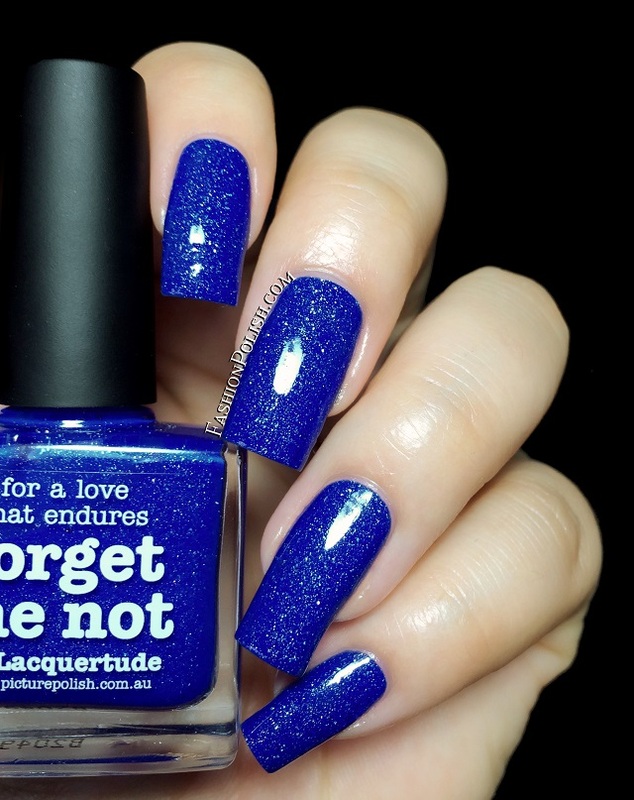 Forget Me Not is a dark, washed out, blue leaning blurple with scattered holo particles. Perfectly even and an easy 2 coats coverage. Created in collaboration with Kate from Lacquertude. 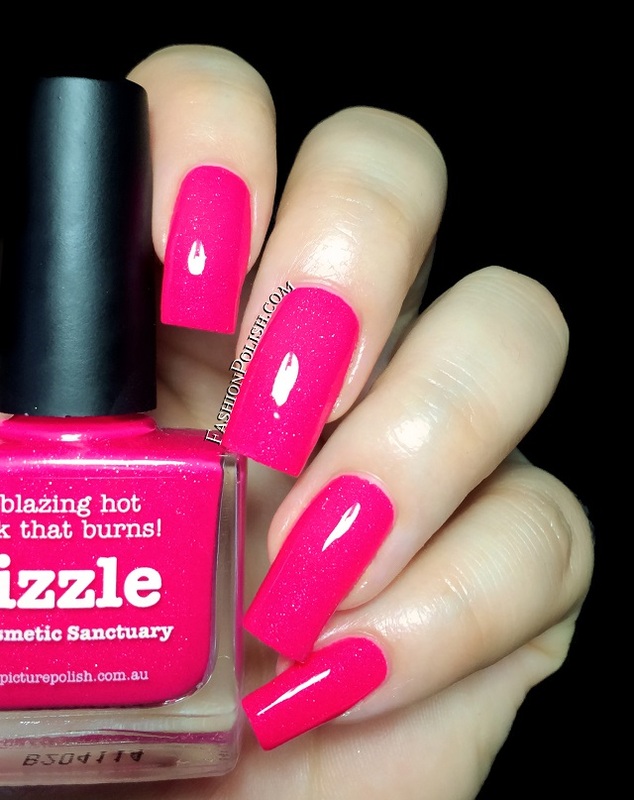 Sizzle is hot pink, almost neon, with scattered holo micro shimmers. I didn't expect it to be this saturated, just wow. Shown below : 2 easy coats plus topcoat. Created in collaboration with Lisa from Cosmetic Sanctuary. piCture pOlish can be purchased on piCturepOlish.com.au or through their International Network. Make sure to check this page for a list of etailers in your country. I'd love to hear your thought of these. Thanks for looking guys!